Don't we have any PNW'sterners in this forum, or are we all out enjoying this weather and riding?? Enjoyed a 73 mile ride today from Puyallup to Eatonville and back..
did a ride Saturday, from Spokane to Metaline falls, back down to Ione, over tiger pass to Colvile, down to Chewelah, over flowery trail road, and back home. Beautiful bike! Thanks for the response.. This is a photo I took today along side Lake Kapowsin.. I just road tv hwy and hw 10 to downtown portland. First comute was not bad. Im excited to get gear and go freeway and out of town! I'm west central WA, near exit 63 on I-5, Toledo WA. 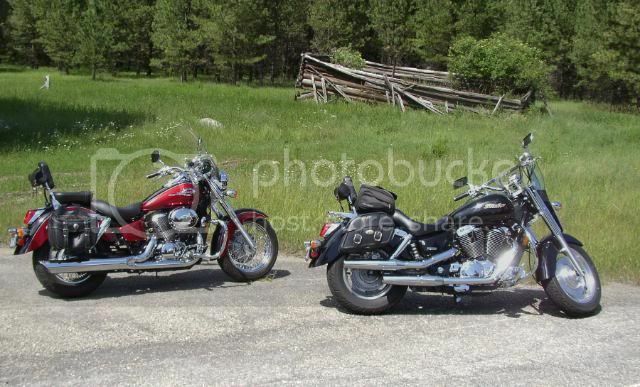 Rode with a couple of new friends from another forum up to Packwood (near White Pass) Sunday. Did some short rides to Centralia and Longview this week. Gonna be down for a few days with rain again...rats. I'm about 70 miles north of Portland. You should check out the Hell's Canyon Rally in Baker City OR, mid June. I'm going with a couple of other riders. I know this is an old post, but if u still ride in Wa. I'm in Kitsap County, across the Tacoma Narrows Bridge, off Hwy 16. Maybe we can meet up for a ride soon. There's nothing but sunshine in the forecast! I am in the Kent area but being an old guy, I just run around the local area to get out in the fresh air. Weather is perfect here finally but when it gets up close to 90 it is a bit uncomfortable with ATGATT. Been on a few rides this summer: as far south as PDX and as far north as Auburn, out to the coast of WA and OR. Leave tomorrow on a 3 1/2 week trip to Texas on my Nomad, leaving the Tourer at home this time. Did take the Tourer down to Baker City for the Hell's Canyon Rally. Way too hot! Afternoon rides were not that much fun. Yeah, several areas between here and TX are gonna be "unpleasant", but going anyway! Will check back on this post when I return, try to hook up with others for some season ending excursions!